Georgetown Cupcake, the gourmet cupcake bakery featured on the TLC show "DC Cupcakes," is in its last day of its two-day online egg hunting competition. This may just be the sweetest Easter egg hunt ever. Georgetown Cupcake, the gourmet cupcakery featured on the TLC show "DC Cupcakes," is in its last day of its two-day online egg hunting competition. Watch one of the store's six live camera views in hopes of spotting one of nine Easter eggs. See an egg? 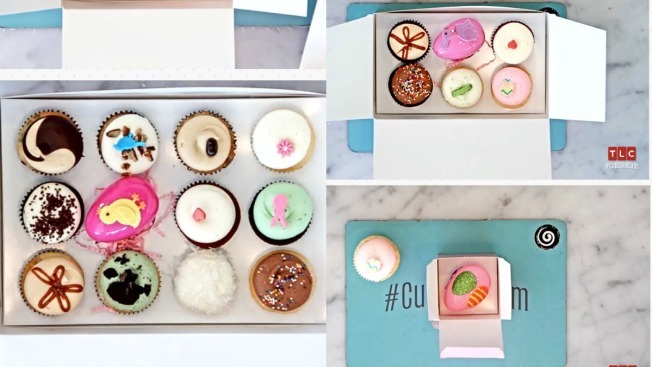 Post a screenshot and tag #CupcakeCam and #Contest on Facebook, Twitter or Instagram for a chance to win a dozen cupcakes. TLC will be selecting 10 winners. The contest ends Friday night. Happy hunting!